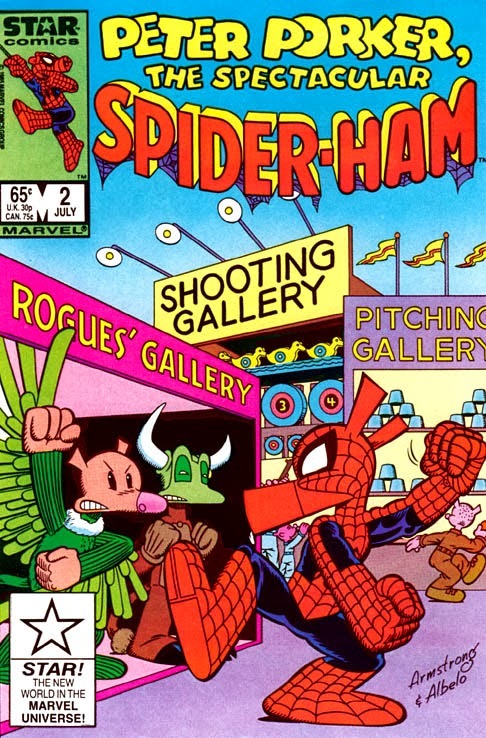 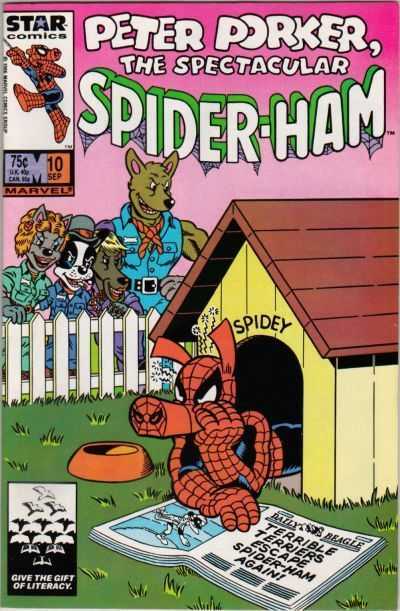 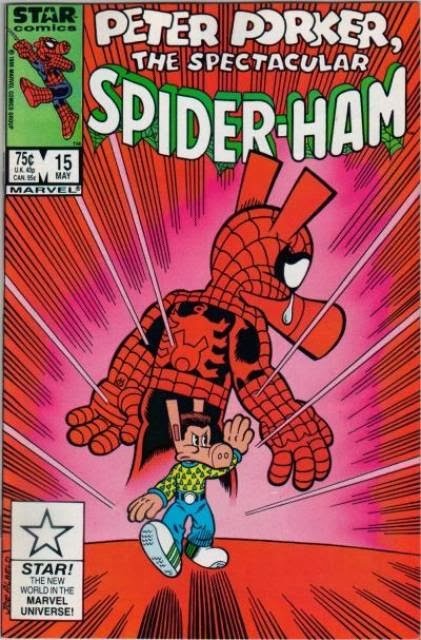 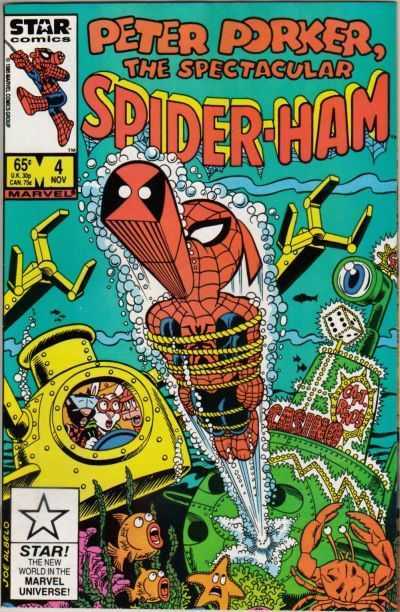 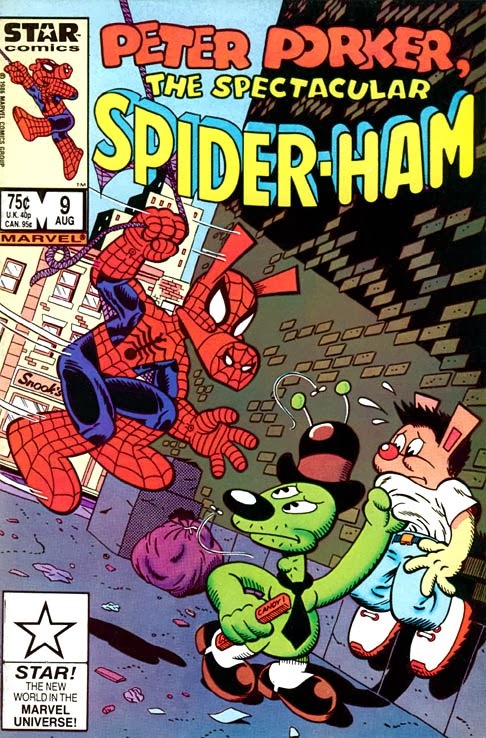 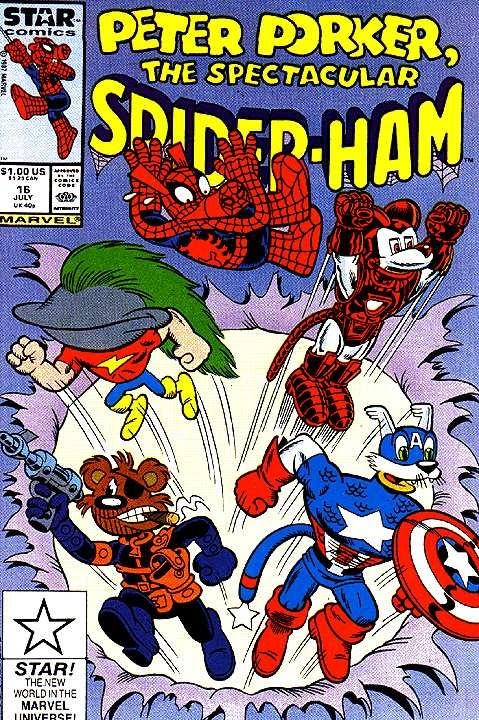 SNEAK PEEK: "Peter Porker, The Spectacular Spider-Ham"
"Peter Porker, The Spectacular Spider-Ham"
"...'Peter Porker' was born a spider named 'Peter'. 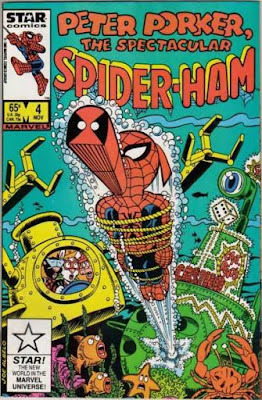 He resided in the basement lab of 'May Porker', an animal scientist who created the world's first atomic powered hairdryer hoping that the introduction of nuclear fusion into America's beauty salons would revolutionize the hair care industry. "Running from the Porker homestead disoriented, Peter soon came to realize that he still retained his innate spider abilities: 'This is astounding! 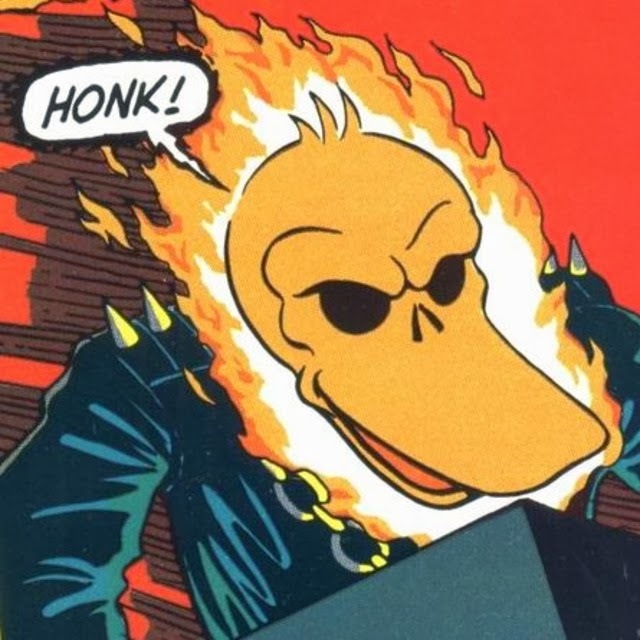 ', he shouts.